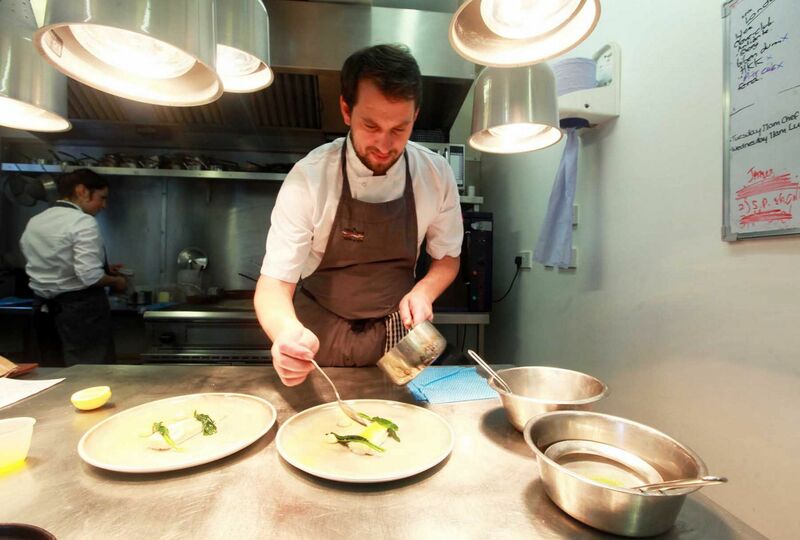 Recently featured on Masterchef The Professionals (Wednesday 13th December 2017) this 2* Michelin restaurant is the only starred restaurant in County Durham – an area more noted for its areas of deprivation than luxury – footballers apart. It came across really well, with a supportive attitude towards the terrified contestants. By no means always the case. We had the full story from James’ dad about how the restaurant started, how the lone Michelin inspector kept returning before letting the chef into the secret. A few Michelin tips were passed on – the champagne bar arrived, “James is ready for you” rather than your table is ready etc. All very posh. So it’s not all about the food then. So, we finally got our Michelin bacon and scrambled eggs. The Raby Hunt has gone on to great things complete with chef’s table but, as nearly always inevitable, there’s a tasting menu only. We know it showcases their best dishes but what about thinking what we would like to eat, not just what they want to cook? A tough call, we know, but you can tire of unremitting excellence.